It’s time! 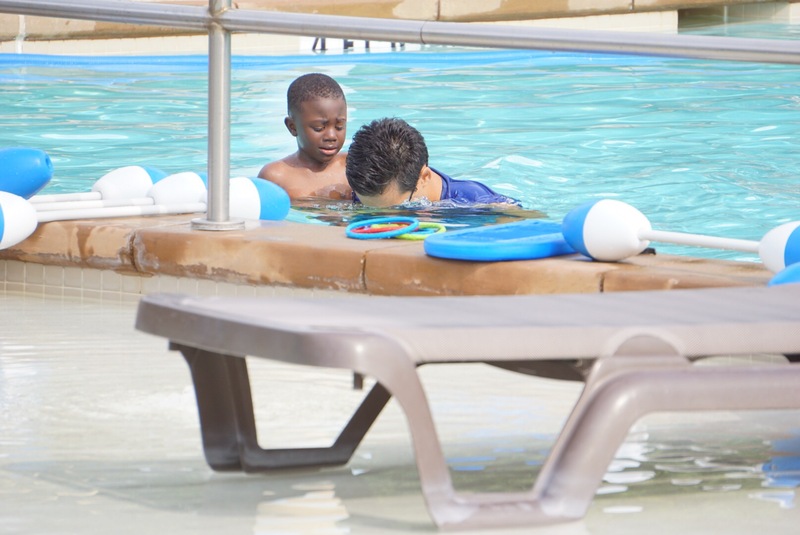 My baby boy is 4 years old and he needs to learn how to swim. Not only will it be a confidence booster for Grant but knowing how to be safe in the water could potentially save his life. 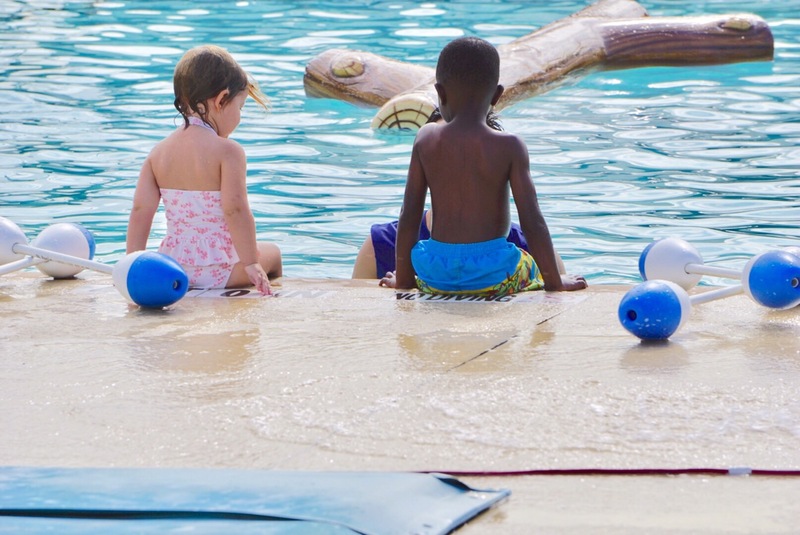 Statistically children 1-4 are at the highest risk of drowning and like most parents, I don’t want to put my child at risk by not arming him with skills and knowledge. 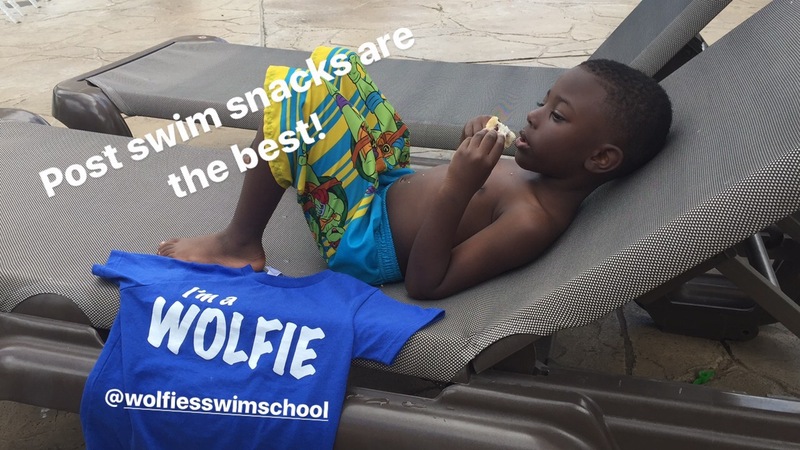 Wolfies Swim School began in Houston’s Meyerland neighborhood in 2005 and through amazing customer service and quality instruction grew to the Bellaire & West University locations.Wolfies provides swim lessons for children and adults and is the best in the business. When I signed Grant up for Wolfies the process was really easy! The Wolfies staff walked me through the entire process and even called to check on us as Grant’s lessons progressed. One of the best things about signing up for Wolfies was that they asked me what MY swim goal were for Grant. 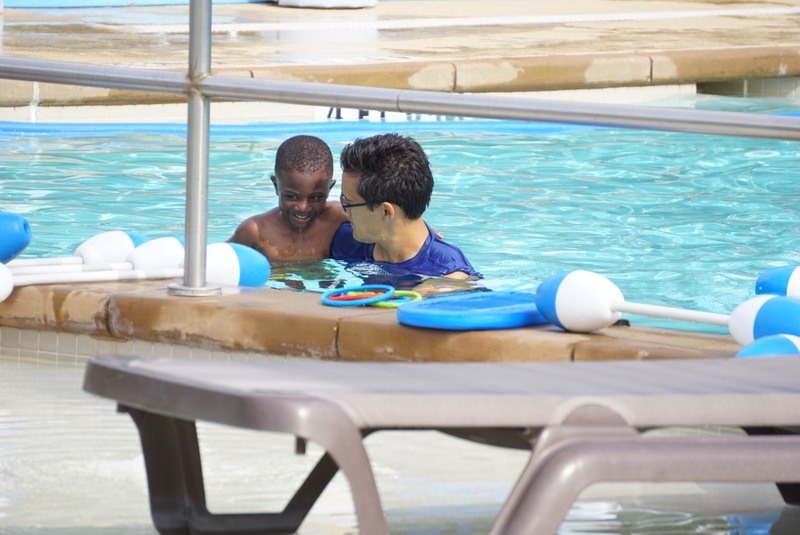 We signed up for a week of everyday lessons and four weeks of weekly lessons as a way to immerse him and give him several opportunities to get comfortable with being in the water. 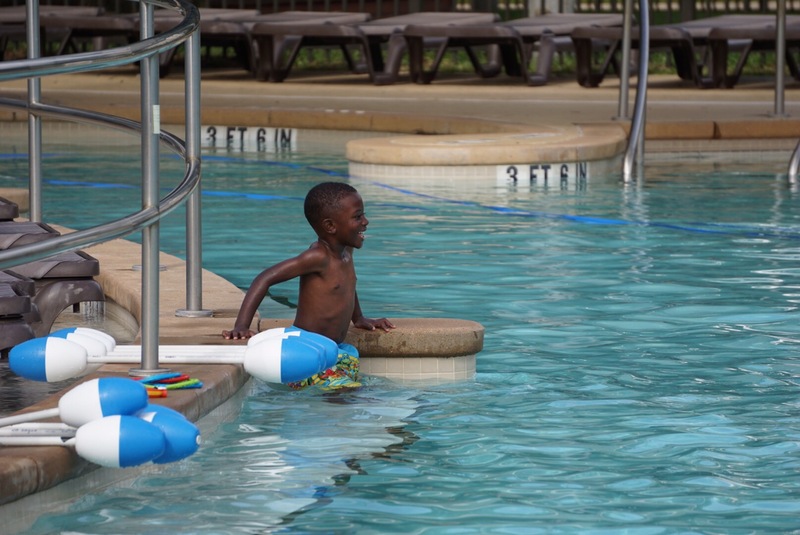 As a mom I wondered how Grant would react to swim lessons simply because he is fearful of water. Even at bath time if water would get on his face or ears I could tell that he didn’t like it immediately. I have to say that on the first day there were some tears and fear but by the second day he was a willing little swimmer. 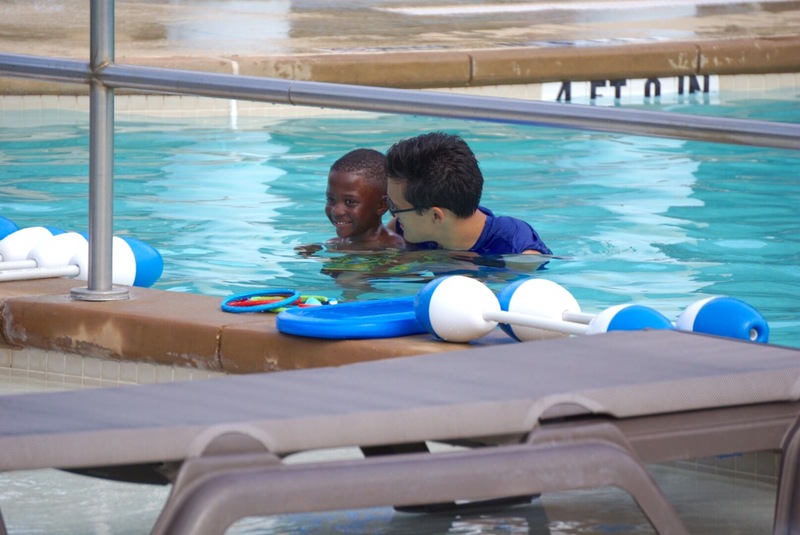 Grant went from not wanting to put his face or ears in the water to asking if he could jump in the pool! I see Grant progressing towards the goals that I’d hoped he would accomplish already. 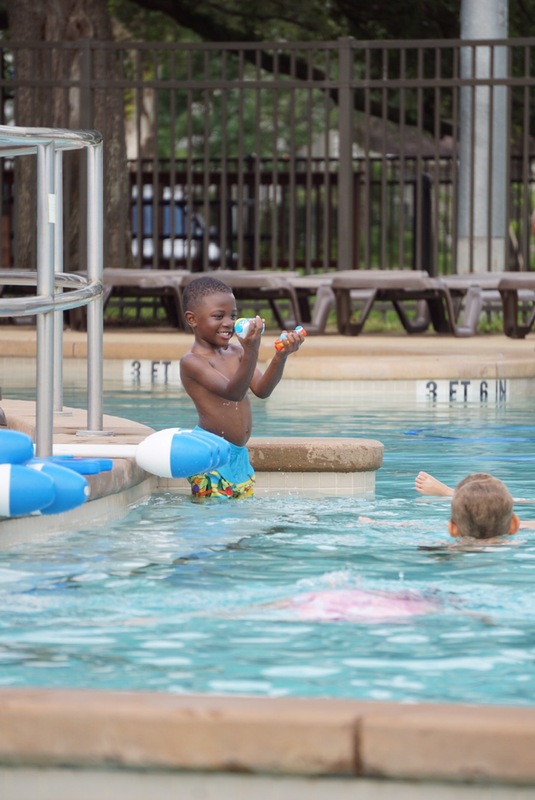 In his first week, Grant began blowing bubbles, being more comfortable with putting his face and ears on the water, climbing out of the pool, and pushing off the platform with his feet. 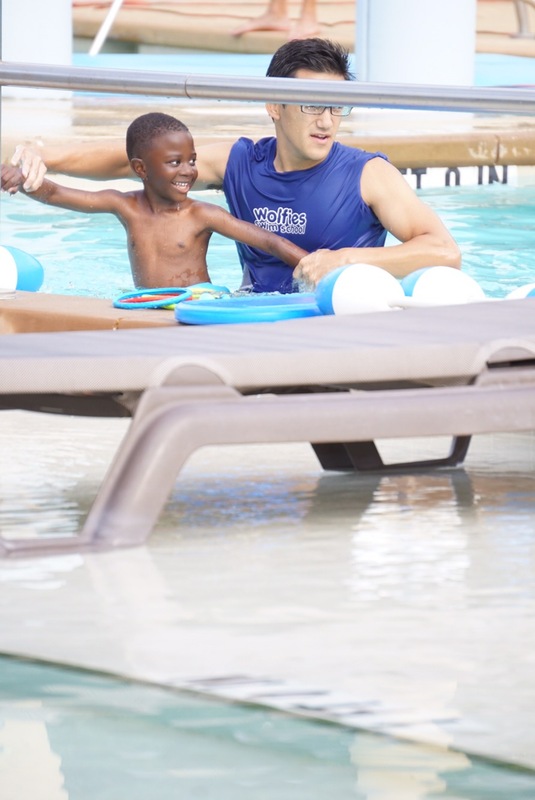 WHat I love most is that Wolfies is helping Grant to be safe in the water. 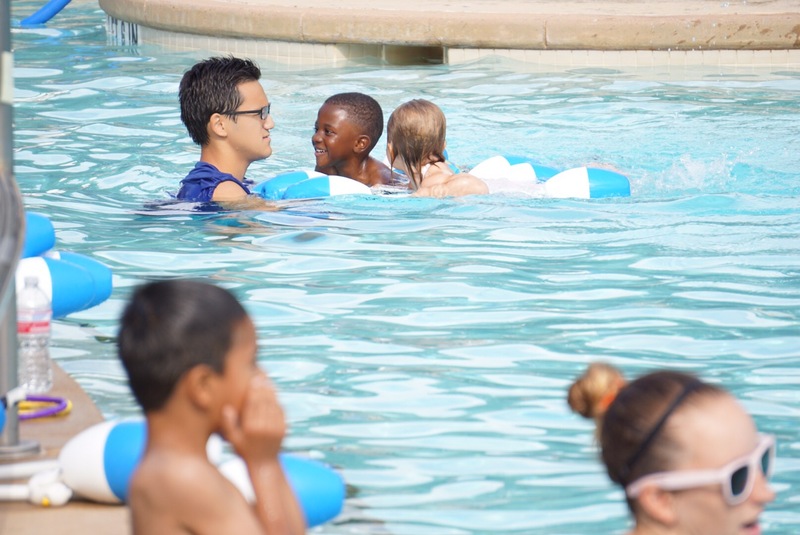 The Wolfies teachers are so calm and relaxed with the children. They push the children within their comfort zones. 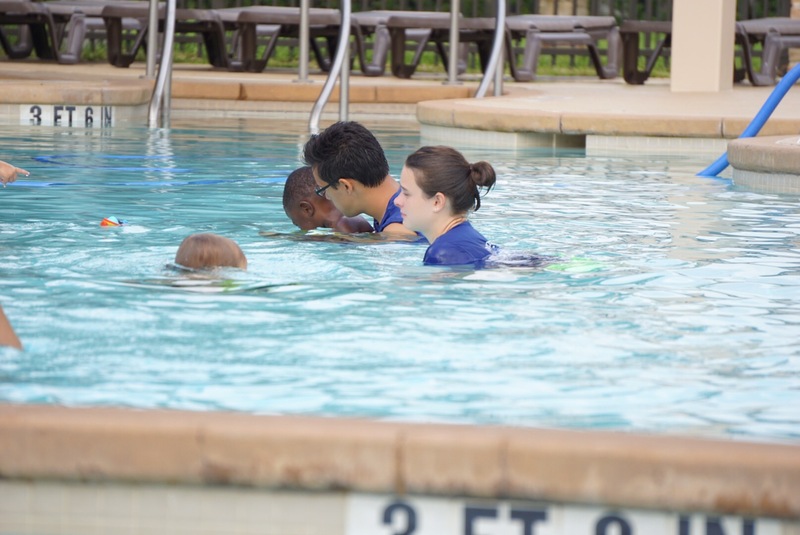 The small class sizes, fun teachers, and amazing instruction is just what our family needed. We still have more lessons to go and I can already say, we are Wolfies for life! Proud moment after blowing bubbles. 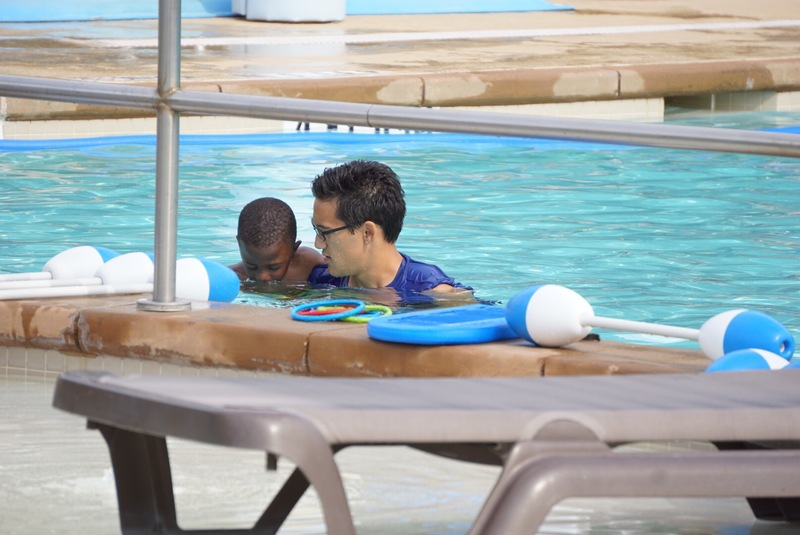 On the first day of swim school, Grant was very hesitant to put his face in the water. The first time Grant blew bubbles. 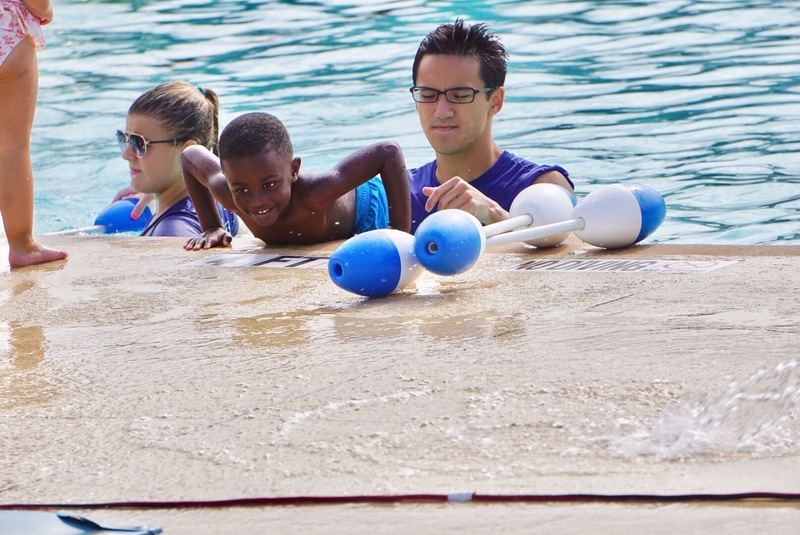 Wolfies has fun toys for little swimmers. Grant and Mr. Kenta working on arm motions. Each time Grant blew bubbles he was so proud of himself. The first time Grant was fully submerged! Success! 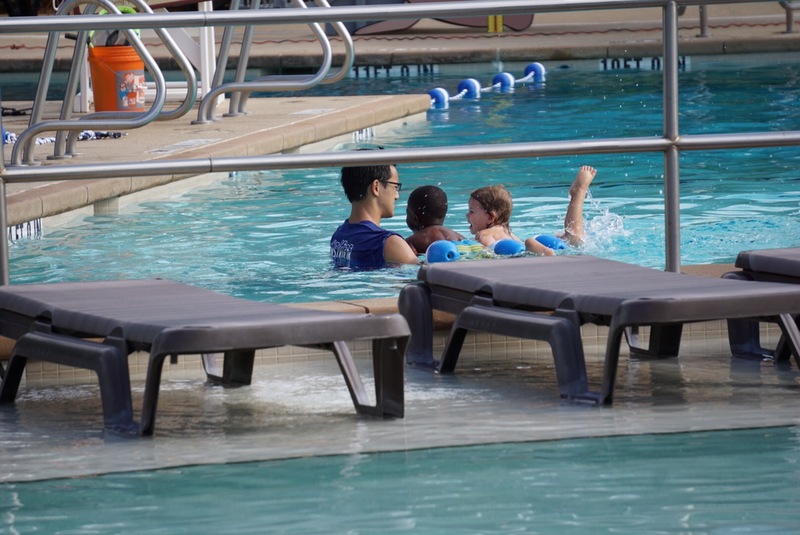 Fun with his swim mates! 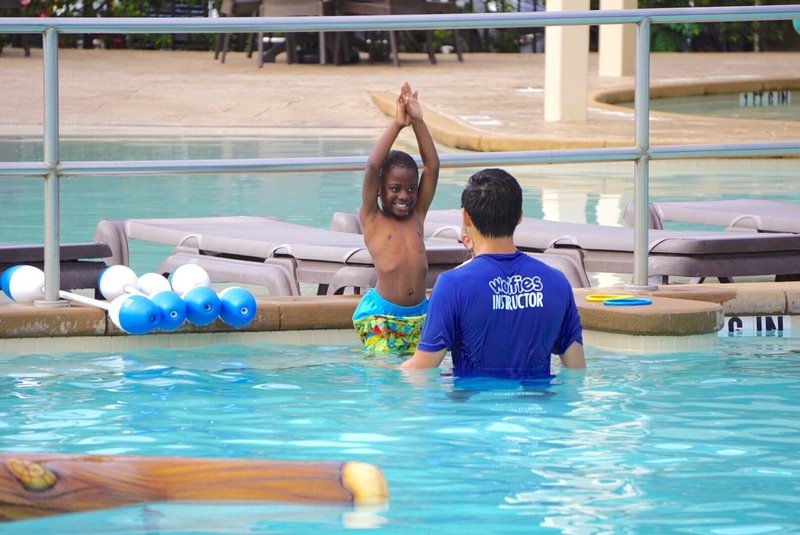 Learning water safety skills like getting himself out of the water. Working on kicking his legs.